PHOTO: Has Chidinma Stopped Making Music? Nigerian singer, Chidinma Ekile, may just be veering off into Nollywood. The singer could be joining her fellow Project Fame alumni, Bisola Aiyeola and Ayoola Ayoola. The singer may have been taking acting lessons and going for casting calls while putting music on pause. She just made her movie debut in “The Bridge”. It's a movie directed by award-winning Kunle Afolayan and Produced by Lasun Ray. 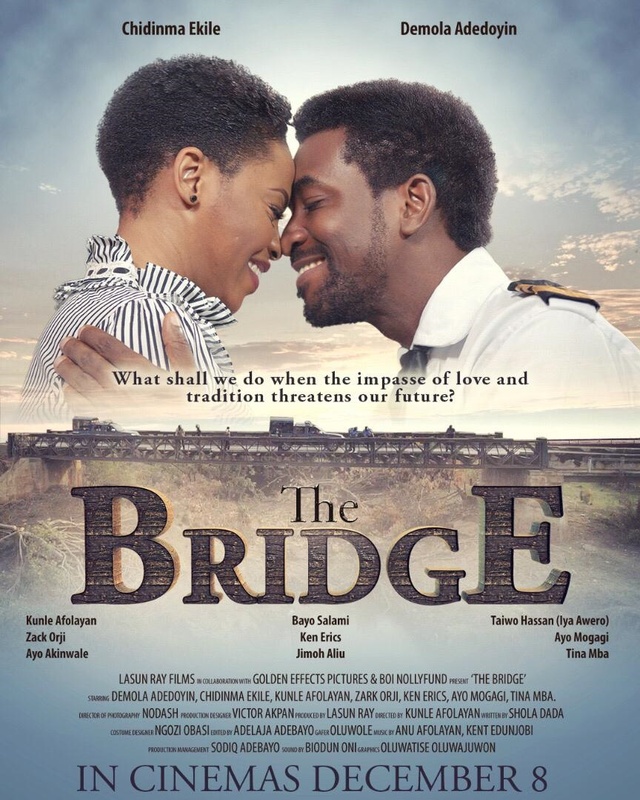 ‘The Bridge’ follows Obadare, who is Yoruba prince and Stella, a young lady from a distinguished Igbo family whose relationship is threatened by tribal prejudice and parental interference. When the couple secretly wed against their parents’ wishes, the consequence shakes the very foundation and sustenance of both families. Chidinma stars alongside Demola Adedoyin, Ayo Mogaji, Zack Orji, Kunle Afolayan, Tina Mba, Adebayo Salami and Lere Paimo. Who knew that all that acting in her music video will propel her into the real deal?